A few days ago when I drove Kurtis to the bus station in Harrisburg I decided to make a few stops to break up the drive home. Harrisburg is only about an hour from us, but I knew the PA Fabric Outlet was on my way home and this time I actually had enough time to make a stop there. Its technically right outside of Harrisburg in Lemoyne PA, but very easy to find. 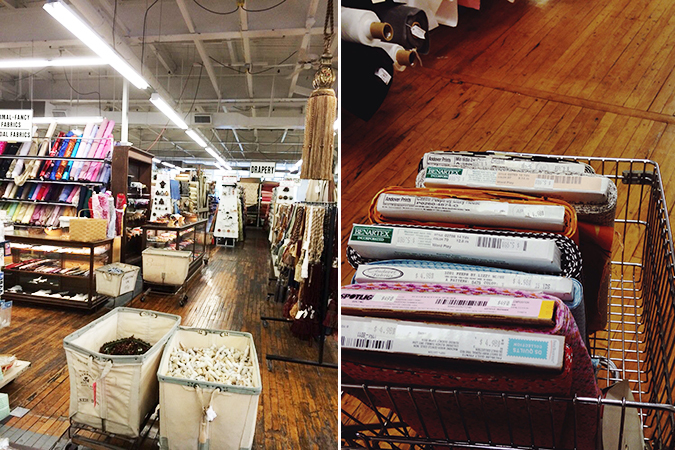 Its a cool old factory building and besides discontinued quilting fabric they have so many buttons, trims, and specialty fabrics to choose from. 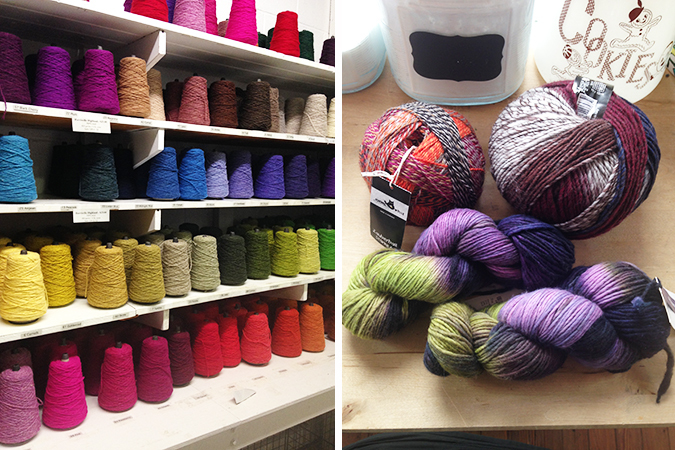 Then a bit closer to home I stopped in at The Mannings for some yarn. This is a yarn, spinning, and weaving place. Really big shop with so much to choose from. Tagged pennsylvania, road trip. Bookmark the permalink. OH-MY, that looks like an amazing day! I’d love to visit those stores. What did you get??? I love the floors in that place . Those rolling carts are pretty rad too. Katie, if we ever go to Harrisburg I’ll be sure and take you!